Today as I was researching embassies on Wikipedia, I came across mention of the Barbary Wars I’d just encountered mention of in The Last Patriot. Curious, I clicked on the links and read about them, or at least the first one. Seems there were some muslim North African states (called the Barbary States) — Morocco, Algiers, Tunis and Tripoli — who’d been preying on the shipping traffic in the Mediterranean, capturing ships and crew and holding them for ransom, then afterward demanding tribute from whatever nation the ships were from for safe passage. At first American ships were protected by the British Navy since we were a British colony; during the revolution the French took over that job. But once we won our Independence protection of our ships was rightly deemed to be our responsibility. Not having much of a Navy this was problematic, so Congress voted for funds to be allocated to pay the tribute to the pirates. 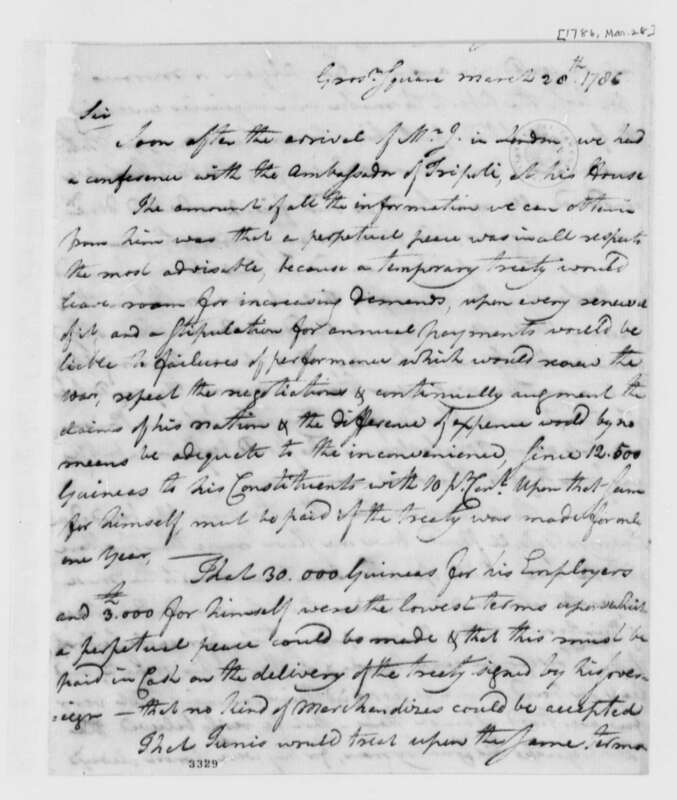 In 1783 our Ambassadors to Britain and France (John Adams and Thomas Jefferson) were sent over with the money and the charge of seeking to negotiate peace treaties with the Barbary States. Unfortunately the price for a treaty was more than the tribute money Congress had approved. 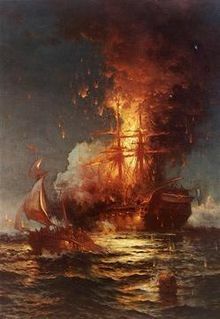 The painting above is of the burning frigate Philadelphia in the harbor of Tripoli in 1804, painted by Edward Moran in 1897. This entry was posted in History, Islam, Uncategorized and tagged Books, History, Islam, Thomas Jefferson on August 24, 2010 by Karen Hancock. Wow! Great post Karen. I too did not know this. Thank you for some very important and historical facts and the research you did. The Internet may proliferate evil but one has to admit people can find truth via research on it also – if that is what they seek. Karen, the early Marine Corps did a tad of fighting in Tripoli, with these very same pirate types. Thus the line in the Marine Corp Battle Hymn to the shores of Tripoli. If there has been an American battle, the Marines have been there.